The DOE continues their long term accelerated testing of the Philips L-Prize winning bulbs from 2010. The lamps continue to give shockingly good performance, with the average lumen maintenance for the 31 lamps at 93.0%. At that rate, the average operating hours to reach 70% of the peak lumen maintenance (L70) will be 192,340 hours….plus not a single lamp in the sample has yet failed! The full text is below. Go, baby go! As SSL performance continues to improve and prices continue to drop, adoption continues to increase. According to the latest DOE Revolution Now report, total installation of LED A-type bulbs exceeded 200 million last year, growing 160% over 2014, and they now account for 6% of all currently installed A-type lamps — growth enabled by an enormous 94% reduction in cost since 2008 — with the best-performing 60W-equivalent LED bulbs on the market consuming 85% less energy than the incandescent bulbs they’re intended to replace. The L Prize® competition, which was launched by DOE in 2009, was instrumental in moving the LED replacement-lamp market to higher performance back in SSL’s early days. Some of the technology and design approaches that enabled Philips Lighting North America to win the L Prize in the 60W replacement-lamp category — including more-efficacious LED chips, electronic miniaturization, better heat transfer, improved optics, and remote phosphors — have found their way into millions of subsequent Philips LED lighting products, while others have been modified to suit the highly competitive replacement-lamp market. In addition, many of Philips’ competitors introduced into the market their own versions of high-performance A-type lamps, not wanting to be left out of the race to have top bragging rights for high-performance products. That all adds up to a lot of energy savings — with lots more to come. But there’s been another benefit of the L Prize, as well. When it was awarded to Philips in August 2011, samples of the winning product had already survived more than 8,000 hours of accelerated long-term testing in a specially constructed apparatus at Pacific Northwest National Laboratory under elevated ambient temperatures (45° C). A selection of 31 of those lamps — which when new emitted at least 900 lumens while consuming less than 10W — recently passed the 50,000-hour point of continuous operation, and the measurements that were taken at that time (50,182 hours on August 17) are not only eye-popping, but can teach us a lot. 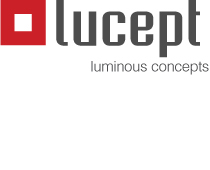 Those measurements indicate that the average lumen maintenance for the 31 lamps was 93.0%. At that rate, the average operating hours to reach 70% of the peak lumen maintenance (L70, a common industry benchmark to indicate the end of a lamp’s useful life) would be 192,340 hours, calculated using TM-21 forecasting methodology. Projected lumen maintenance shouldn’t be interpreted as projected lifetime, as it assumes that all other components in the lamp will continue to operate normally, whereas lamp failure can also be caused by the failure of an electronic or other component. But the performance as of 50,000 hours is impressive nevertheless — especially when considering that not a single lamp in the sample has yet failed. The best-performing lamp in the sample of 31 had 97.8% lumen maintenance, while the worst had 92.3%. The average chromaticity change (Δu’v’) for the lamps under test as of 50,182 hours was .002, which is still below the original L Prize requirement of 0.007 at 25,000 hours. The worst-performing lamp in this regard had a net change of .005. Meanwhile, the best-performing sample with regard to chromaticity showed a net change of only .001 at 50,182 hours relative to initial value, and little variation over the test period. The bottom line is that on average, the L Prize-winning lamps continue to demonstrate very stable behavior in terms of both light output and chromaticity, with even the worst-performing sample in terms of lumen maintenance remaining well above parametric-failure level (70%), and no catastrophic failures to date. Essentially, there’s almost no difference between the light the samples emit today and the light they emitted five years ago. It’s true that Philips went all-out to win the L Prize, and that manufacturers today often must strike a balance between value engineering to keep prices down, and designing products whose performance will satisfy end users. But the performance of the L Prize-winning samples after more than 50,000 hours serves as a potent reminder of what can be achieved with this groundbreaking, game-changing technology. For more details on the latest long-term testing results of the L Prize-winning samples, visit the L Prize website.